Eat breakfast and lunch on the day of surgery. Take all medications as directed that you would normally used for other medical reasons. Be sure Dr. Kong is aware of all medications you have taken in the preceeding 24 hours. Discontinue taking aspirin, products containing aspirin, or vitamin E, 5-7 days prior to surgery unless prohibited from doing so by your physician. If the latter situation arises, please, inform Dr. Kong immediately. Patients taking Warfarin (Coumadin) must stop taking the medication 3-5 days in advance of surgery. The discontinuation of this drug must be coordinated closely with your physician and Dr. Kong. Have all prescriptions filled. Take the medications before surgery as directed and bring them with you to your surgery appointment. When sedative drugs are used during surgery, you must have someone pick you up to drive you home and stay with you for several hours. The effect of the sedative drugs lasts 2-6 hours following surgery. Be sure to wear comfortable, open collared, loose clothing to the surgery appointment. Do not ignore a head or chest cold when oral surgery is to be performed. Please, call the office if you have any symptoms because we may have to cancel your appointment. If you have any questions or concerns, please, don’t hesitate to call the office at 212-724-6280. It is not unusual for swelling to occur following surgery. Apply an ice pack to the outside of your face, 15 minutes on and 15 minutes off for 6-8 hours after surgery. This will help keep the swelling to a minimum but may not completely eliminate it. You may not notice any swelling until the next day. Swelling often peaks 2-3 days after the procedure and it may take 4-7 days to subside. If this occurs, apply moist heat over the operated area using a wet wash cloth warmed in a microwave oven starting 48 hours after surgery. A small amount of bleeding can be expected for the first few hours after surgery. If there is a considerable amount, apply pressure to the area with a wet tea bag, wash cloth or gauze holding it in place for 20 minutes until the bleeding stops. Do not remove it during this period to examine the surgical site. If bleeding persists, call our office. Do not try to stop the bleeding by rinsing. It is recommended that you place a towel over your pillow the first few nights after surgery to prevent possible staining. Following surgery, a certain amount of discomfort can be expected. To minimize discomfort in the surgery site, take your pain reliever medication as directed. Avoid taking pain reliever medications on an empty stomach to prevent nausea. After surgery, avoid rinsing your mouth for 24 hours if at all possible. A proper diet is essential to healing. Soft foods are recommended for the first post-operative days. Stay away from sharp brittle foods (no popcorn, potato chips, etc.) Try to chew on the non-operated side of your mouth. Avoid citrus fruits, fruit juices, highly spiced foods and alcohol; these will cause pain. Do not smoke. The heat and smoke will irritate your gums and delay healing. If at all possible, use this opportunity to give up smoking. 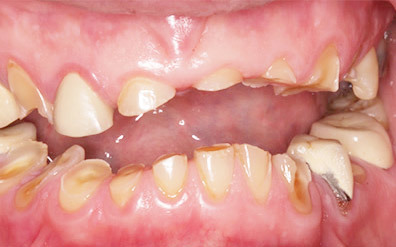 There is a strong correlation between smoking and progressive periodontal bone loss. You may experience a slight feeling of weakness or chills during the first 24 hours. This is not a cause for alarm but should be reported at the next visit. Follow your regular daily activities, but avoid excessive exertion of any type. Golf, tennis, skiing, bowling, swimming or sun bathing should be postponed for a few days after surgery. The first post-operative appointment following a surgical procedure will be made at the time of surgery. Post-operative appointments are important to ensure proper healing regardless of how the surgery area looks or feels. A periodontal dressing may have to be placed in your mouth. It is comparable to the surgical dressing used in other types of operations and should not be disturbed. The periodontal pack will become semi-rigid within a few hours. It can then withstand some of the forces of chewing without breaking. The dressing should be permitted to remain in place until it is removed in the office at your next appointment. If particles of the pack should fall off during the week, do not be concerned as long as you do not have pain. Should a sizable piece fall off or if a rough edge irritates you, please, call our office. The packing can be replaced if necessary. Do not brush over the pack. 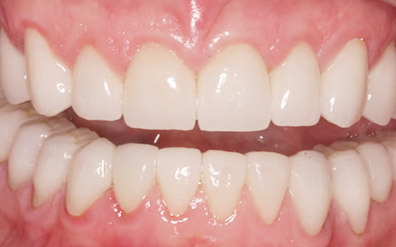 Brush or floss normally the areas of the mouth not covered by the dressing. If given a prescription for Chlorhexidine (Peridex), bathe the area of surgery without rinsing for 2 minutes after breakfast and before bedtime using a ½ of a capful of Peridex. Do not rinse your mouth vigorously during the first 24 hours after surgery. If given a prescription for Chlorhexidine (Peridex), bathe the area of surgery without rinsing for 2 minutes after breakfast and before bedtime with ½ of a capful of Peridex. Continue its use until Dr. Kong tells you to stop. If nose bleeding occurs, do not blow your nose vigorously. Maintain a soft diet for the first 5 days after the operation and if possible, eat on the side of your mouth that did not have surgery. Use an elevated headrest or an extra pillow for the first 2 nights after the operation. Do not use your prosthesis until it has been relined. The prescribed antibiotic should be started the night before and I hour prior to surgery. Afrin (Oxymetazolene 0.05%) nasal drops should be applied while in a supine position with your head hanging over the edge and turned to one side. The nose drops should be applied to that side of the nose. Remaining in this position for a few minutes, allows the solution to reach all the areas of the sinus. Apply the night before and 1 hour prior to surgery. Start taking 400mg. of Ibuprofen (Advil) the night before and 1 hour before surgery. Start rinsing your mouth with Chlorhexidine (Peridex) the day before and morning of surgery for 2 minutes after breakfast and before bedtime. Continue gently rinsing the surgical site twice a day until Dr. Kong tells you to stop. After surgery, avoid smoking, blowing your nose, and creating a negative pressure while sucking through a straw or cigarette for 1 week. Coughing should be done with the mouth open to relieve pressure within the sinus. Expect swelling. Apply an ice pack to the outside of your face 15 minutes on and 15 minutes off for 6-8 hours after surgery. Do not wear your removable prosthesis over the surgical site for at least 2 weeks. A small amount of bleeding can be expected. If there is a considerable amount, apply pressure to the area with a wet tea bag, a wash cloth or gauze holding it in place for 20 minutes until the bleeding stops. Do not remove it during this period to examine the surgery. If bleeding persists, call our office. Do not try to stop the bleeding by vigorous rinsing.